Lexus, the luxury division for Toyota Motor Corporation, has been around since 1989 yet it has never released a turbocharged vehicle…until now. And the automaker delivers it in a totally new vehicle, a compact luxury crossover known as NX. Lexus has launched the model line in the form of the NX 200t turbo gas crossover and the NX 300h hybrid. We spent time recently in the NX 200t turbo arriving in F Sport trim and to be perfectly honest this is the only way I would order the new NX. 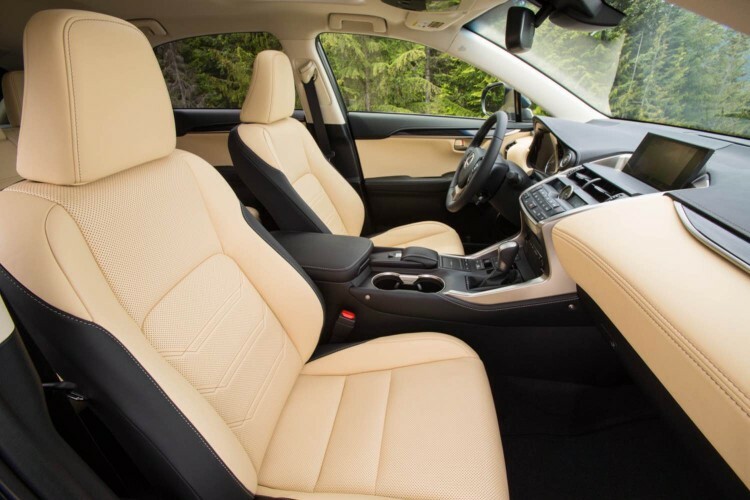 Smaller than the uber-popular RX crossover, NX offers comfortable seating for up to five in a sport package offering all the latest amenities offered by the brand and they are available in front- or all-wheel drive configuration. Let’s begin under the hood of the new NX as this is where the fun begins. 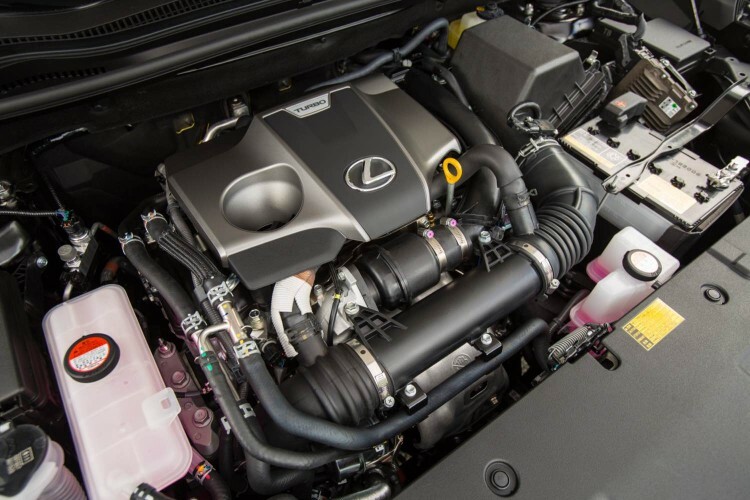 Lexus utilizes a turbocharged, direct-injected 2.0-liter four-cylinder with an advanced valve control system to alternate between Atkinson and Otto cycle operations for optimum performance as well as fuel efficiency. Generating 235hp and 258 lb. ft. of torque, the new Lexus engine operates smoothly across a broad power band delivering fun acceleration and great control on the road via new six-speed automatic gearbox and Dynamic Torque Control AWD system providing an outstanding driving experience no matter what the road and weather conditions. 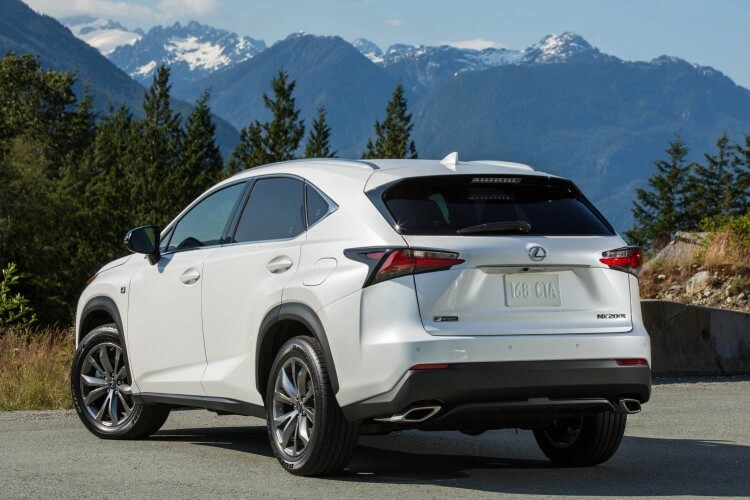 The 2015 NX 200t features Lexus’ Drive Mode Select allowing the driver to select vehicle responses in varying situations through settings of ECO (yawn), Normal (yawn) and Sport (personally recommended). NX is still a Lexus and offers a very comfortable ride but I prefer this chassis over the RX as it provides a bit more sport experience and feel. 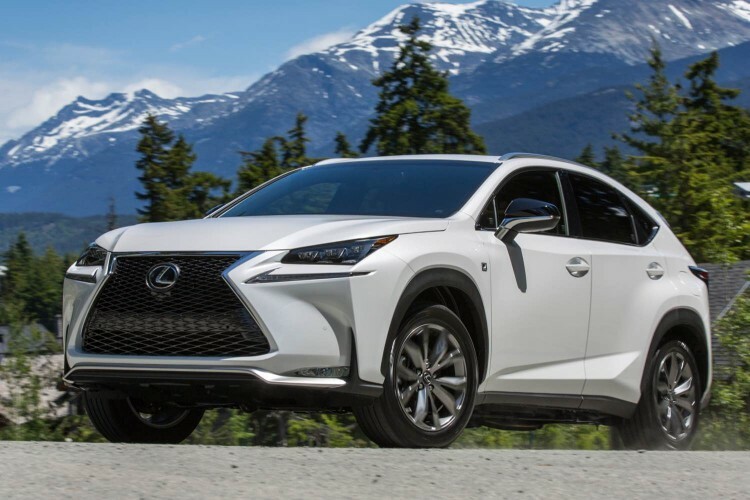 As with all new Lexus vehicles, NX received the new face of the automaker and for those opting for the F Sport package that face is even more pronounced with a very large black mesh grille supported by the Lexus spindles. I have read some polarizing comments regarding the design of the new NX and I am on the thumbs up side of this debate as I like how this vehicle looks and wish RX would have arrived like this years ago. Inside one can find everything new about Lexus including the track pad controller in the center console. I am not a big track pad fan but wish repeated use I am sure I would get the hang of it. Hey, just give me rows of buttons and knobs and I am just fine. In Lexus’ favor designers did place the multimedia display high in the center dash stack to reduce the amount of time eyes are shifted from road to screen and a haptic feedback in the track pad confirms targeting of the cursor over a function icon. The new NX features Qi wireless charging of devices in the tray inside the console box but your device has to be Qi compatible (iPhones are NOT) or be housed in a Qi compatible case. 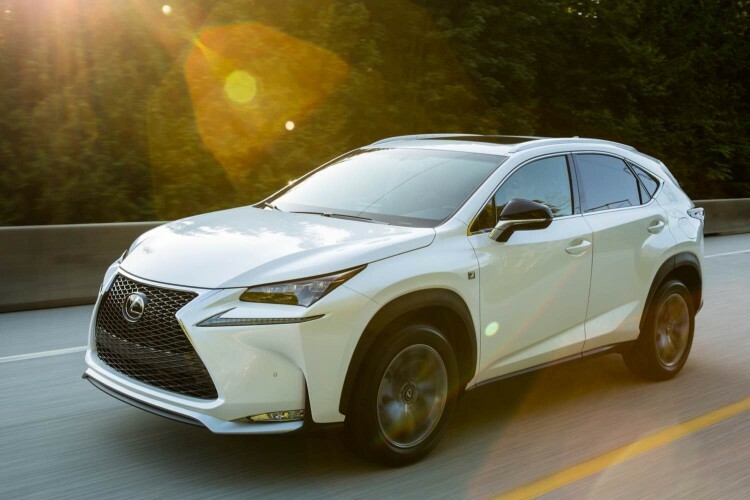 Lexus gives NX premium audio systems and the aforementioned multimedia display is offered with a navigation upgrade of course along with Enform App Suite and Siri Eyes Free Mode and Bluetooth connectivity is standard. A host of safety technology envelops the 2015 NX including blind spot monitor and rear cross traffic alert as well as pre collision system with pre collision brake and lane departure alert. Our tester arrived with the navigation upgrade along with the premium package that included heated and ventilated front seats, moonroof and 18-inch wheel and tire upgrade. The F Sport package brought even more goodies including unique wheels, seats, gear shift, steering wheel, scuff plate, trim, meters, sport tuned suspension, gear shift differential for the AWD, paddle shifters and that unique fascia and LED fog lamps. To be fair, this Lexus NX 200t arrived as prototype #526 so it did not include a production window sticker and some of the features and materials may have differed slightly from final production units you will drive off your dealer’s lot. I found no issues whatsoever with this unit. I truly enjoyed my week behind the wheel and the driving experience of the new chassis and turbocharged engine. I was forced to get pricing information from the consumer Lexus website where I had to “build my own vehicle” to receive pricing for a vehicle comparable to what we tested here. 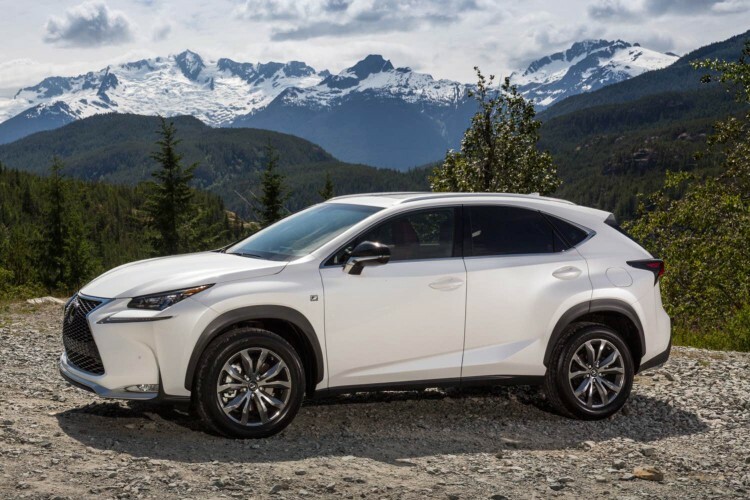 The 2015 NX 200t F Sport with AWD begins at $37,980 (the base NX 200t FWD starts at $34,480). With the Nav and premium packaging added, the online build version came to $43,090 with delivery, processing and handling charges. Fuel economy for the turbo engine is rated at 22 mpg city and 28 mpg highway. It has been a busy year for Lexus and they have yet another hit on their hands with this new NX compact luxury crossover. And did I mention the awesome stereo system also provides some extra growl for the powertrain playing through the speakers? NX 200t F Sport in sensurround!